Flood Bros. Disposal presents The Skinny & Houli Show and Houli opens the show with vigor, just back from Ireland with tales to tell, and Skinny calls in from Florida where is golfing for the week. 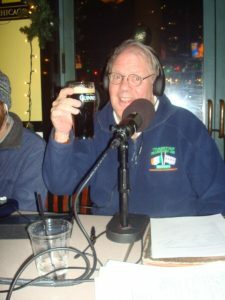 Our guest this week is the one and only Paddy Houlihan, newly appointed Development Director of Hibernian Transmedia NFP, who evangelizes about Hibernian and their work with Irish culture, including our three weekly radio programs, annual Movie Hooley film festival, and a variety of creative endeavors, including our annual trip to the old country. Paddy has big plans for injecting Hibernian with a youth serum that will awaken younger Irish American to the benefits of being tuned into your heritage. He’s also planning a fundraiser in December at a location yet to be named. If you’d like to get the jump on that and make a donation for the year, go here. Then we talk with the O’Leary sisters from Carrickmacross, County Monaghan, who are performing as Sephira on Saturday night at Gaelic Park. These young ladies put on a brilliant show featuring a variety of music and vocals by both these violinist rockers. Great show, don’t miss this one.